We often see abbreviation BHA on pore reducing treatments. But what the hell does it mean? BHA stands for beta hydroxy acid which is more commonly known as salicylic acid. It’s is an exceptional ingredient for oily, breakout-prone skin struggling with enlarged, clogged pores. It’s one of few things that can inside of a pore and clean it out! It’s also a soothing ingredient known for its ability to reduce redness. 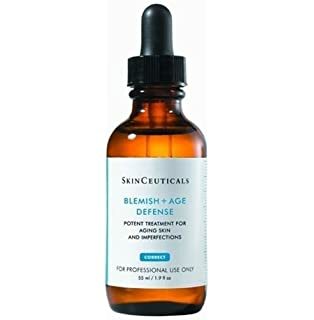 If you have struggled with blackheads, clogged and large pores for all–or part–of your life, then it’s time to grab a treatment with salicylic acid. Use it regularly and religiously, and soon you will forget about rough, uneven skin and clogged pores. When choosing BHA products it’s critical to know that it’s formulated with right pH for exfoliation to occur. All of the treatments below are with salicylic acid in a pH-correct formula. And one other thing, please do not forget to apply sunscreen daily if you use a treatment with Salicylic acid. (Check out my picks of best sunscreens to wear under makeup). This a great toner with salicylic acid that I’ve been using for years and continue to buy forever:) It’s pretty easy to apply and you can use it daily. 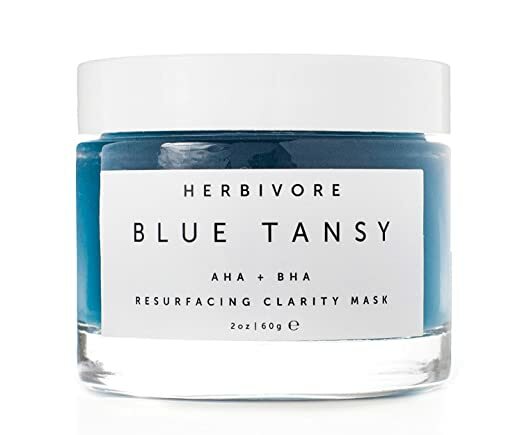 It’s not likely to be sensitizing and I would recommend it even for those who just start including BHA in their skincare regimen. This a night leave-on serum with a combination of the BHA (salicylic acid) and AHAs (glycolic and lactic acid), plus antioxidants and anti-irritants which make it ideal not only for enlarged and clogged pores but it also helps treat signs of aging, uneven skin tone. It has a nice gel-like lightweight formula layers well with other products in your routine. It’s recommended as a spot treatment though I sometimes apply it over the whole area where there are enlarged pores. My main concern is it’s texture – I could never make it work with makeup as it starts to ball. So I tend to use it as night treatment only. This treatment contains 1.5% salicylic acid to fight blackheads, AHA glycolic acid, which provides an additional exfoliating boost and help fade discolorations. Some of my friends call it miracle serum for clogged pores and I see why: it contains Alcohol and for some people salicylic acid works best in combination with alcohol. The only drawback is that alcohol could be very drying so I would recommend it as a course treatment rather than using it constantly. This treatment contains the highest percentage of salicylic acid in my list. It comes with a pump that dispenses the foam which I find a pretty nice idea as it’s so easy to apply this texture to the skin. It works great as a weekly leave-on treatment though I tend to grab it twice a week to keep my pores clean. It’s an exfoliating mask which improves skin’s texture, reduces the appearance of pores and radiance while minimizing the appearance of fine lines and wrinkles. It contains not only 2% of salicylic acid but also 25% of glycolic acid. It works wonderfully but you have to keep in mind that the potency of AHA can be sensitizing for some people. Me personally, I never had any irritation from it and my skin just LOVES it. It also contains antioxidant-rich plant extracts, hyaluronic acid and niacinamide which have great anti-aging and skin-restoring benefits. 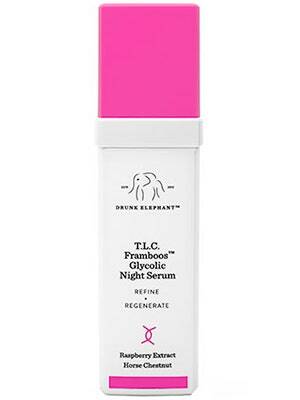 It’s a 10-minute peel and it’s similar to Drunk Elephant T.L.C. Why is it so inexpensive? Because the formula is pretty simple – it does not contain the whole array of anti-aging or skin soothing ingredients. But do you really need them in exfoliant? Not much unless you have sensitive skin. It works amazing on my oily skin for evening the tone out and de-gunking pores. But that is not for acid skincare newbies as it’s very potent and it might sensitize your skin. This Korean essence contains White Willow Bark which is much more gentle form of salicylic acid. 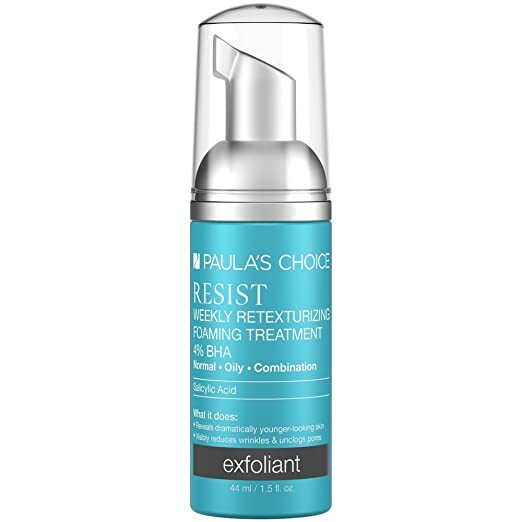 I would recommend this treatment for those who has extremely sensitive skin or for BHA newbies who wants to try salicylic acid but would prefer to start with the gentlest form of it. This gel mask also contains White Willow Bark which is an option for those who wants to use much more gentle and natural form of BHA. It also features fruit enzymes (natural AHA), and blue tansy to gently exfoliate, smooth, and resurface the skin.